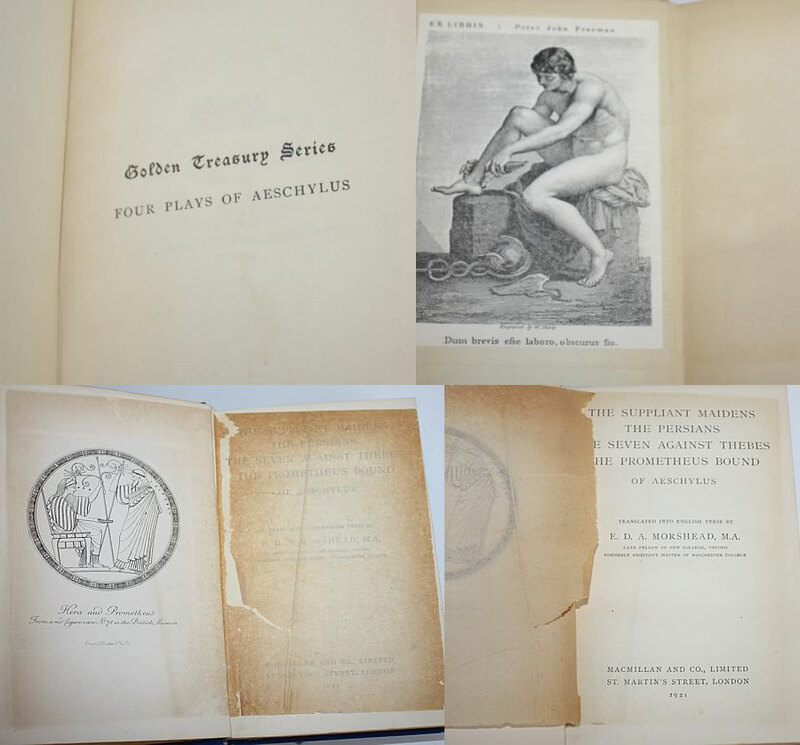 The plays are: The Suppliant Maidens, The Persians, The Seven Against Thebes, and The Prometheus Bound. At least one of Aeschylus's works was influenced by the Persian invasion of Greece, which took place during his lifetime. His play The Persians is a source of information about this period in Greek history. So important was the war to Aeschylus and the Greeks that, upon his death around 456 BC, his epitaph commemorated his participation in the Greek victory at Marathon rather than his success as a playwright. 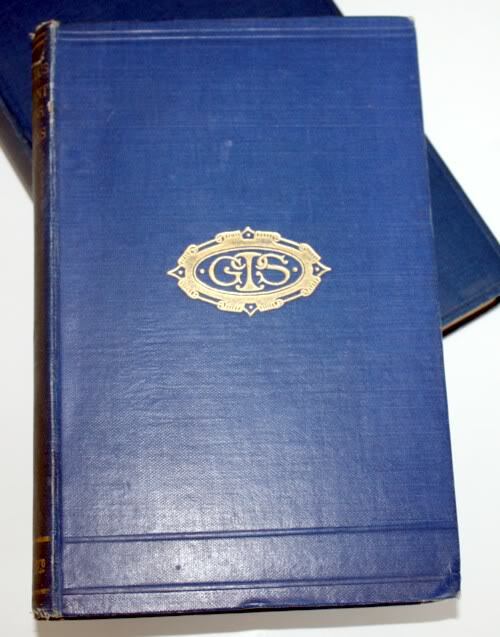 Printed in London byMacMillan And Co., 1921. Golden Treasury Series. A good copy in the original gilt-blocked cloth. Cover is in good condition, of note, a few water spots on spine, the original tissue guard is torn as shown.